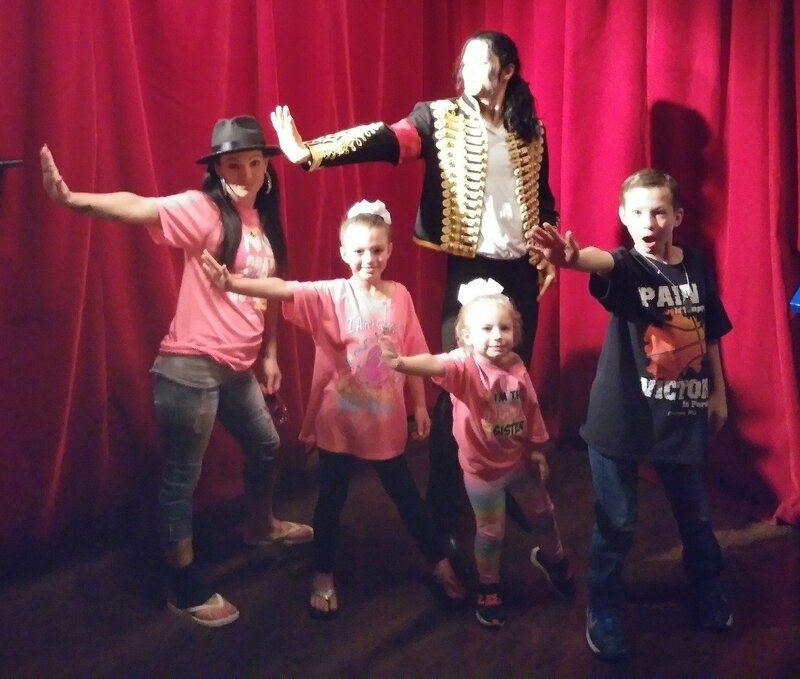 Located in the live-entertainment capital of the Midwest, this Branson landmark is home to incredibly realistic wax replicas of some of the most popular celebrities in show business. Popular figures include the stars of today as well as unforgettable entertainers of the past. Castle of Chaos, Hannah's Maze of Mirrors, & Shoot for the Stars Mini-Golf also available at The Hollywood Wax Museum Entertainment Center. 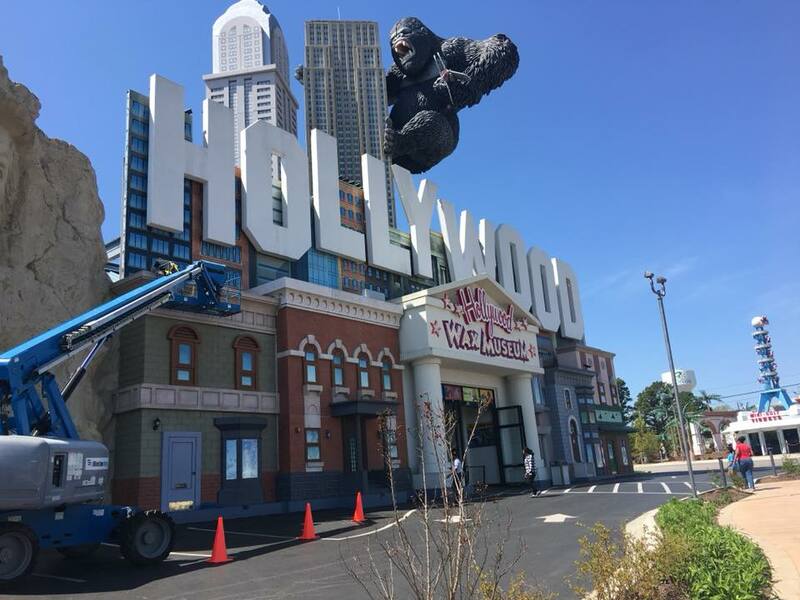 Movie-themed exterior with Great Ape of Branson scaling the building. Come Play With the Stars! 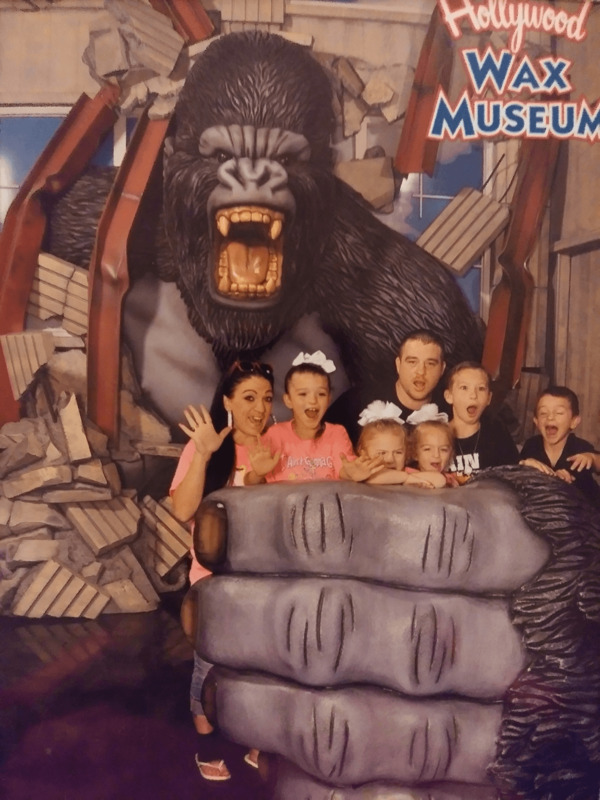 Grab your camera and join your favorite stars for pictures that will make the best Branson vacation postcards! 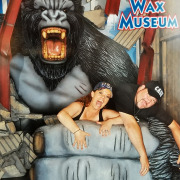 When you see the Great Ape of Branson on Highway 76, you’ll know you’re in the right place for A-list fun and A+ photo ops! 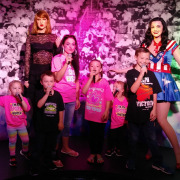 You'll find a mix of current celebrities, Academy Award winners, classic entertainers, and music superstars to delight every member of your family or group. 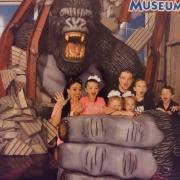 See for yourself why so many Branson vacationers feel this is one of the best things to do in Branson! Castle of Chaos: Buckle up and grab your 3D glasses for a non-stop shoot-em-up adventure that’s fun for all ages. It’s a thrilling 5D ride where you’re seated but feel like you’re moving through a whole new reality, as you compete for the highest score. Hannah's Maze of Mirrors: Are you The Chosen One? Find your way through the mirrored corridors of the Castle of Savannah. Discover 288 potential turns among hundreds of mirrored archways and infinite reflections in every direction. Fun for all ages! All Access Passes available with Castle of Chaos and Hannah’s Maze of Mirrors. Please note: Unless you purchase the All Access Pass, a separate admission ticket is required for the Castle of Chaos, Shoot for the Stars Mini-Golf and Hannah's Maze of Mirrors. 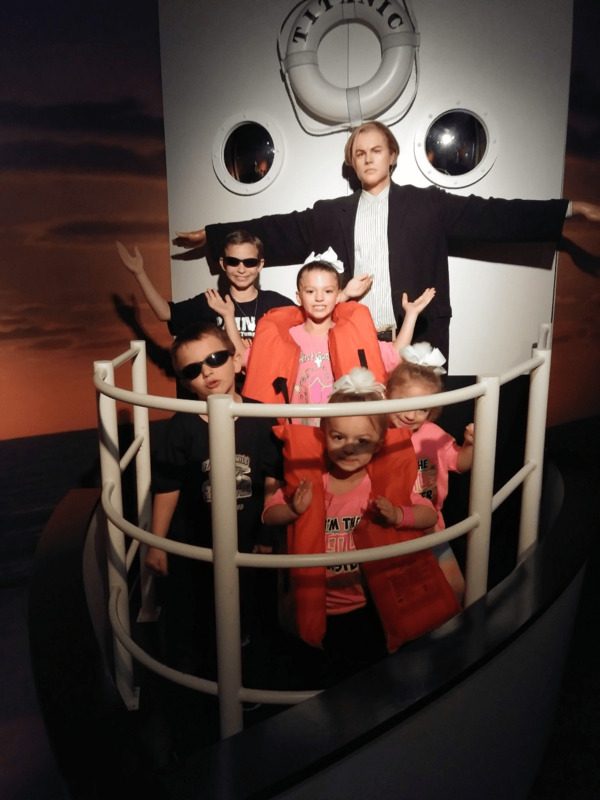 How much time should I allow for the wax museum? 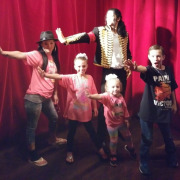 It typically takes guests between 1 to 2 hours to complete the wax museum. 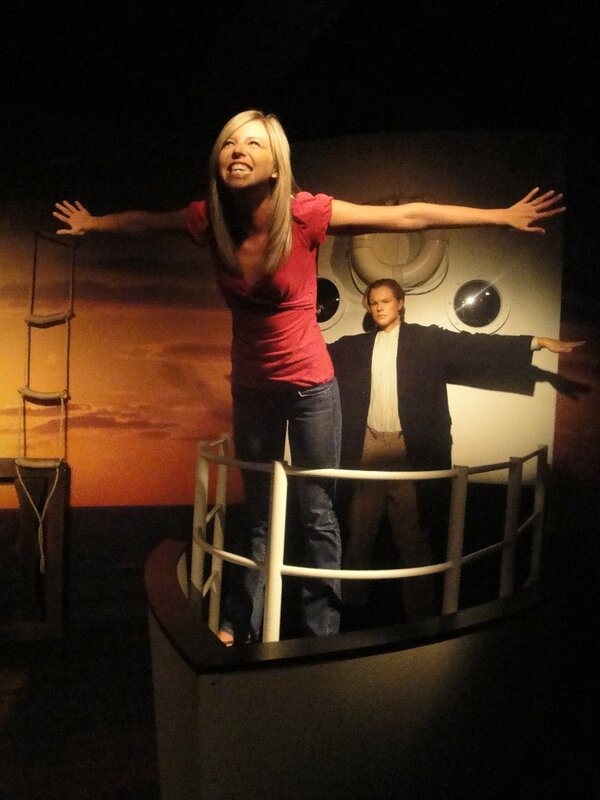 However, we invite guests to take as much time as they need to enjoy all that the Hollywood Wax Museum has to offer. 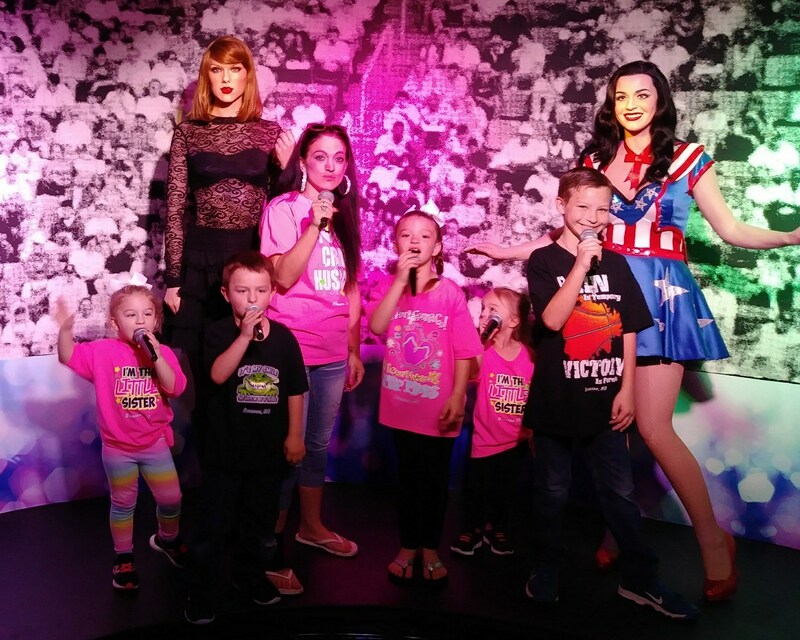 Is there an age limit for the Hollywood Wax Museum? No. We welcome guests of all ages! Do I have to purchase a ticket for all of the attractions on site? No. Guests can purchase single attraction tickets or an All Access Pass. 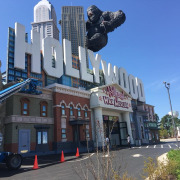 The Hollywood Wax Museum Entertainment Center is also home to attractions including Castle of Chaos, Hannah’s Maze of Mirrors, and Shoot for the Stars. The All Access Pass is available for those interested in enjoying all of our available attractions. We are located at 3030 West 76 Country Blvd. 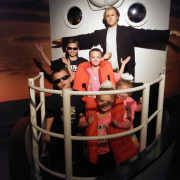 Unit A, Branson, MO 65616.
Who can I call for more information about the Hollywood Wax Museum? Please call customer service at 1-800-590-0155 for more information. 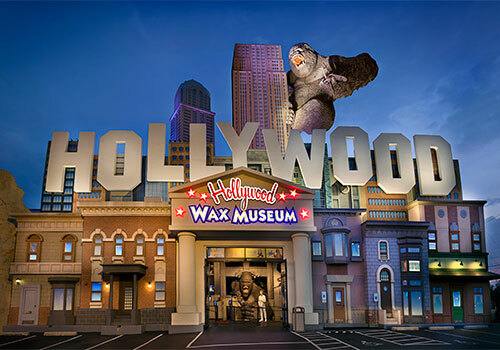 What are the hours of operation for the Hollywood Wax Museum? 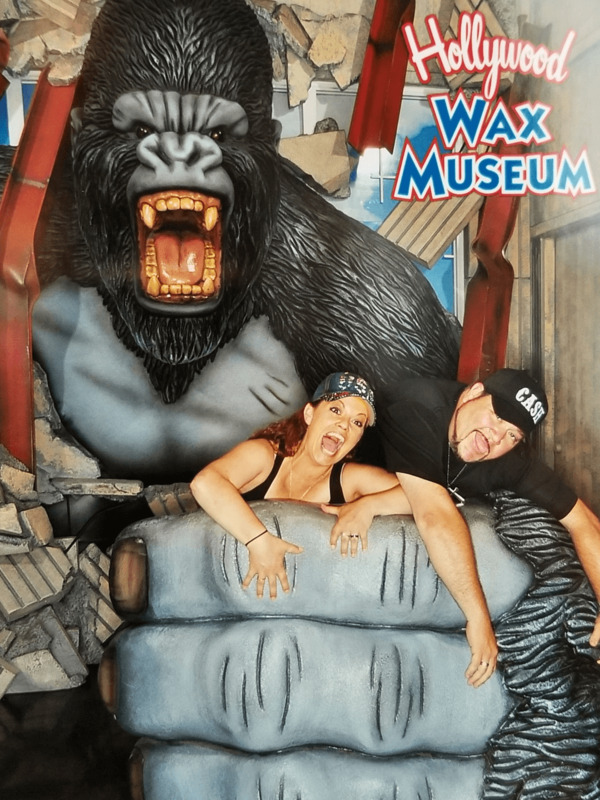 The Hollywood Wax Museum opens at 8:00 am daily. Closing times vary by season.